Canada Miscellaneous. Legally Binding. Free Preview. 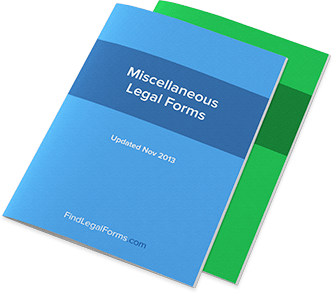 Various miscellaneous legal and business forms for use in all provinces except Quebec. Authorization and Direction to Escrow Agent (Canada) Authorization and direction to the escrow agent from one party to the escrow agreement to release the escrowed funds. Authorization and Direction to Escrow Agent - Joint (Canada) Joint authorization and direction to the escrow agent from all the remaining parties to an escrow agreement to release the escrowed funds. Certificate of Translator Re Translation of Document (Canada) Certificate of translator certifying that document constitutes an official translation of another document. Membership Agreement for Association (Canada) Agreement between an association and its members by which the member agrees to pay to the association its annual dues. Nominee Agreement - Bare Trustee (Canada) Agreement between a bare trustee (nominee) and an owner of property, pursuant to which the nominee agrees to hold the property as bare trustee for the owner. Transfer of Gift (Canada) Transfer form evidencing the giving of a gift from one person (the transferor) to another (the transferee).